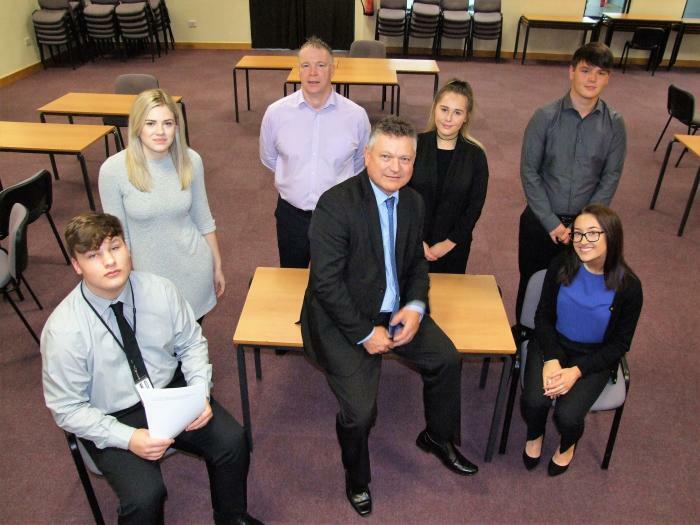 The new staff members will complete 18-month apprenticeships, undergoing training and gaining nationally-recognised qualifications along the way. Copeland Mayor, Mike Starkie, said: "I am absolutely delighted to be welcoming these young people into our organisation. Apprenticeships are a vital part of the work and skills jigsaw. For us it means we can train people into the roles we need and really strengthen our skills base. It also gives young people a chance to get a foot on the employment ladder and earn money while they learn." Copeland has taken on Leah Mason in revenues, Sophy Leece in benefits, Darcy Adair in customer service, Harry Wolfenden in IT, Robbie Armstrong in finance and Ellie O'Neill in human resources. All the apprentices are aged between 18 and 20 years old. The training element of the Copeland Apprenticeship Programme is delivered in partnership with Lakes College and funded by the National Apprentice Levy. The salaries are paid for by Copeland. Inspira and Copeland Citizens' Advice have also assisted with the scheme. Mr Starkie added: "This is a real investment in the future of our workforce and I look forward to seeing these young people become part of our team, helping us deliver great services.